NEW ROCHELLE, N.Y. – Nearly 100 well-intentioned members of the New Rochelle community braved the cold to dance for a cause last week as the YMCA continued its “Be a Lifesaver” fundraising campaign with a line dancing extravaganza. Ever since the New Rochelle YMCA pool was forced to close its doors last year due to damage to the ceiling and roofing area, officials with the organization have been hard at work, raising money as part of the $1.3 million campaign. Their latest offering involved swapping swim trunks for dancing shoes as they took to the gym floor for a line dancing lesson taught by longtime dancing instructor Eleanor “Ellie” Minor. In total, the YMCA raised more than $1,500 that will help expedite the time until the pool can be utilized again. “I know what it’s like to be in a tough place where you have to pick yourself up, get motivated and move on, so I wanted to do what I could to help out with the pool campaign,” she said. Damage to the ceiling was discovered in November when contractors were in the process of removing the pool’s drop roof, which is no longer permitted because it masks moisture buildup. While investigating the damage, engineers found several of the steel beams supporting the roof structure had corroded due to this and a complete replacement may be necessary. 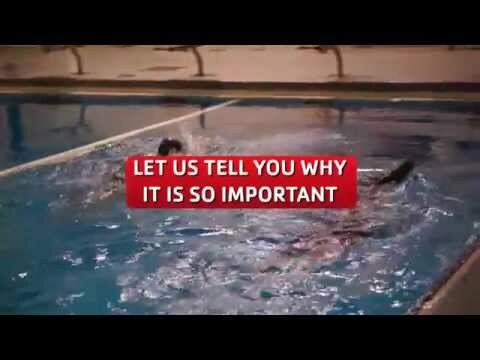 According to Julie Gallanty, chief executive officer of the New Rochelle YMCA, the $1.3 million “Be A Lifesaver” campaign could be one of the most important in the organization’s longstanding history in the city. If the “Be a Lifesaver” campaign fails, the New Rochelle YMCA may have to close its doors permanently, as the pool is a chief source of revenue for the organization.